Residents of Northern Norway were warned to stay indoors on Friday after authorities detected a smog of dangerous pollutants emanating from a nickel smelting and refining works in neighboring Russia. The incident is sure to sharpen Norwegian anger toward Russia. For three decades, Oslo had pleaded with Russian industry on the Kola Peninsula to reel in its dangerous emissions. And while the Russian side has promised to seek pollution reduction measures, a civil defense warning issued in Norway on Friday seems to show that those measures haven’t gone far enough. 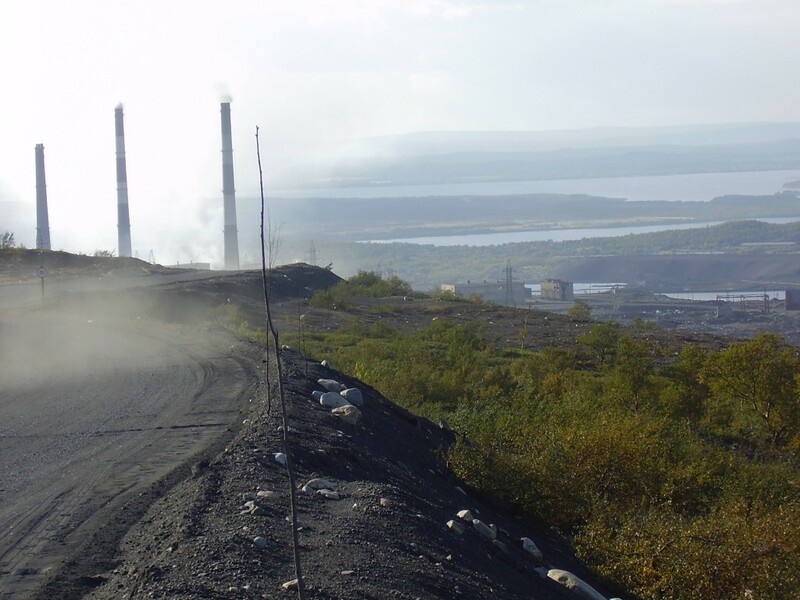 Friday’s pollution spike above the Norwegian region of Svanvik became so serious that smelters at the Kola Mining and Metallurgy Company – a division of the giant Norilsk Nickel – were temporarily halted to limit emissions of sulfur dioxide from straying into Norway. The incident provoked angry headlines in the Norwegian media late Friday afternoon, which finally led to the industrial shutdown. According to authorities with the Norwegian Institute for Air Research, or NILU, the levels of sulfur dioxide detectable above the Svanvik area – which encompasses several towns along the country’s border with Russia – had reached levels dangerous enough to issue a civil defense warning. Residents of the area were sent a text message via their cellphones, urging those with cardiovascular difficulties to limit outdoor activities and to steer clear of the area. The pollution in Norway followed several days of high sulfur dioxide readings on the Russian side of the border. Rosgidromet, Russia’s federal weather service, reported that sulfur dioxide levels around the Russian nickel working towns of Nikel and Zapolyarny, had exceed safe levels by sometimes by as much 10 times for much of January. Tore Berglen, a senior scientist with NILU said Norwegian authorities broadcasted the civil defense text because atmospheric sulfur dioxide concentrations on the Norwegian side of the border had climbed to between 700 and 800 micrograms per cubic meter – well over the 500 micrograms per cubic meter that trigger an air quality emergency. “These are the highest levels we have seen over the last two years,” he said in an interview with the Barents Observer. 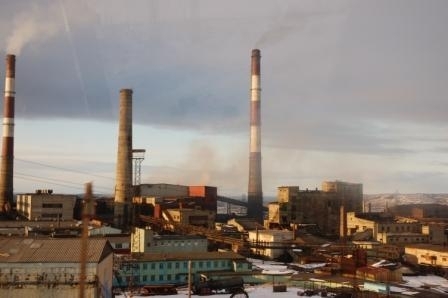 The timing of the incident is embarrassing: In recent months Norilsk Nickel has embarked on a highly vocal multi-billion dollar effort to rewrite its history as a major Russian polluter, and has promised a revamping of its production facilities to stem its harmful emissions. The stakes for the company are high. Norilsk Nickel produces metals vital to the production of batteries for electric cars, but many carmakers, like Tesla and Volvo, refuse to buy products produced by unrepentant polluters. Pollution outbreaks like Friday’s have dogged the corporation’s promised environmental progress. Last April, a spike in sulfur dioxide levels enraged the residents of Monchegorsk, a Russian nickel-working town where some of the Kola Mining and Metallurgy Company’s facilities are housed. The polluting smog, aggravated by cold and calm weather conditions, closed schools and caused accidents on nearby motorways. Berglen said Friday’s upward spiral in sulfur dioxide levels weren’t even the first to be measured in Norway this month. In remarks to the Barents Observer, he said high levels were detected overnight from January 13th and 14th as well. Rune Rafaelson, Mayor of Kirkenes, one of the Norwegian towns affected by the pollution bloom, said he had lodged a complaint directly with Sergei Donskoy, Russia’s Minister for Ecology. But Berglen pointed out that the Kola Mining and Metallurgy’s Company’s recent pollution outbreak hadn’t occurred for lack of trying. Pollution readings taken prior to January showed that sulfur dioxide levels had been coming down, thanks to the closure of a smelting furnace in the town of Nikel as well as technical upgrades in facilities in Zapolyarny. And as recently as July, the company published figures that said that its harmful emissions in 2017 had fallen by 9 percent over the previous year – which Bellona said was a commendable start in the company’s ongoing struggle to bring its pollution to heel. But Oskar Njaa, an advisor with Bellona’s Russia group was alarmed by Friday’s upsurge in atmospheric sulfur dioxide.